I love besan ke laddu and so do my children. Though they are simple to make, but they do require slow roasting of besan (gram flour) that needs some slogging on the stove so I try to avoid making it :). But what the hell! 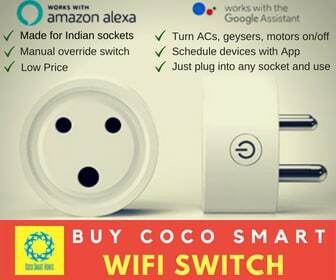 Diwali is here. So I got in the fervour and made a fairly large batch day before yesterday. The kids have been hogging them like crazy. Take a thick bottomed wok or kadhai. Heat it and dry roast gram flour in it for 10-15 minutes on very low flame. You have to constantly stir the flour and ensure that it does not get burnt. There is no way you can hasten this process, when the flour is more than half cooked, it will start changing colour. Add in the the ghee and mix thoroughly with the flour. It will form a crumbly mix. Keep roasting the mix for another 10 minutes till the flour becomes dark golden or brownish. If you don’t brown it enough, the besan laddu will have an awful taste of raw besan, so brown it really well and uniform. It gives off a very inviting smell when done. Now take it off the heat. Add in the powdered sugar and mix well along with the chopped nuts. It will be difficult to form laddoos when the mix is hot. So, allow it to cool down enough for you to handle the mix. It must be warm or else the laddoos will not form. Now, form each besan ladoo with your hands. Store them in an airtight jar and consume as needed. 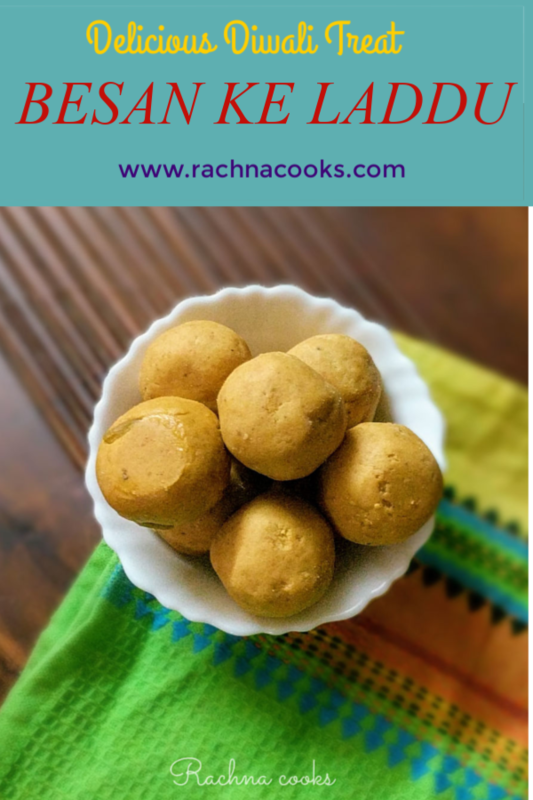 Isn’t this an easy besan ladoo recipe? 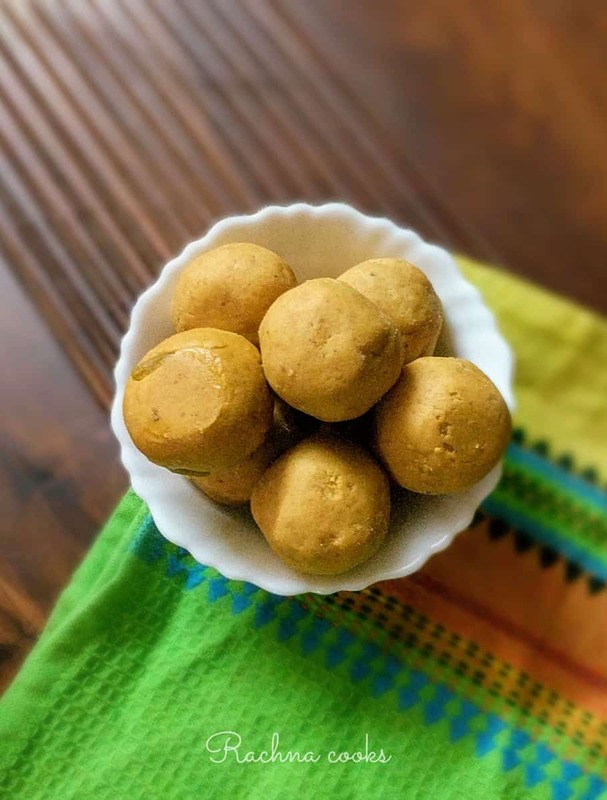 Made at home with pure ingredients, these besan laddus are a powerhouse of taste and goodness. Remember never to add sugar while roasting the mix, it will completely spoil the laddoos. Always add sugar after taking the mix off the flame. You can also use bura or coarse sugar. If interested you could powder a few cardamoms and add for extra flavour. 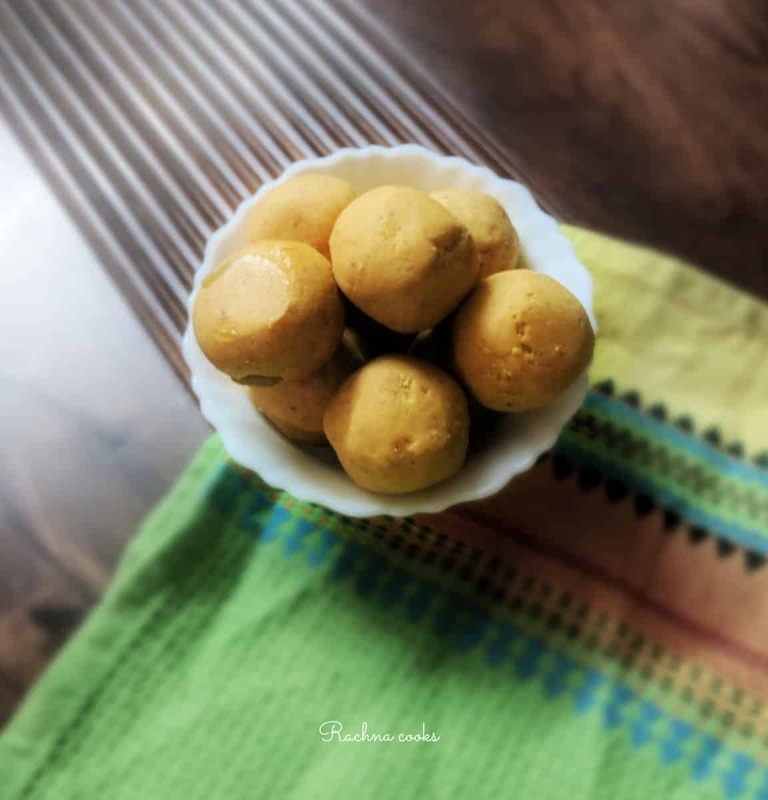 Try this besan laddu recipe and brighten your Diwali. A slice of mother earth!